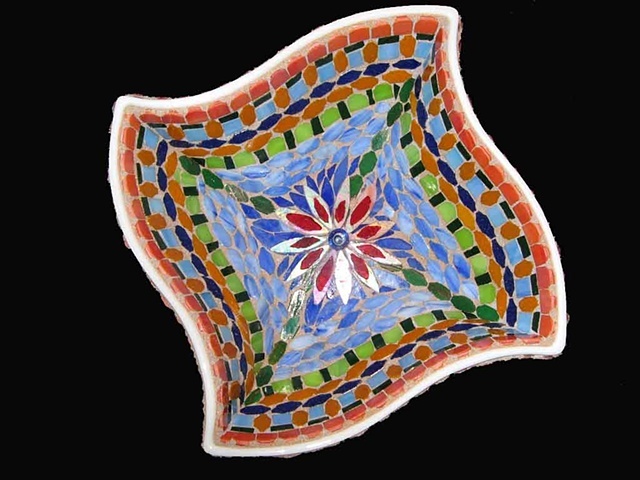 This is a white ceramic bowl with stained glass mosaic. Lilly at the bottom of the bowl is layered on top of the mosaic. The mosaic is on the inside as well as the outside.